Reiss has been a pivotal figure of the Amsterdam house and techno underground for quite some time. His extensive record collection, combined with a refined sense of (club) atmosphere, enables him to create cohesion and unison on the dance floor. His sound can be described as a delicate flow of rhythm’s and soundscapes spiced up with occasional and surprising idiosyncrasies. 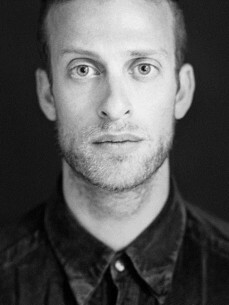 Reiss is represented by the VBX artist agency and hold’s a residency at their Amsterdam based events. Reiss did the warm up for artist like Raresh at Trouw, Cassy at Studio 80, Vera at the VBX ADE event and, more recently, Dewalta at a VBX Current event. Also he closed the night after Margaret Dygas this past summer and did the warm up for Tama Sumo in Nijmegen a few weeks after. His latest major performance was at the ADE 2014 after-hours hosted by VBX x Solid AM. Here he shared the bill with Onur Ozer and Dewalta. Reiss his DJ skills also made him in demand across Dutch borders. He traveled to Paris to play an all-nighter at Le Malibv with Half-Baked resident Yakine in the spring of 2014. A few months later he was invited by VBX companion Terje Bakke to play the infamous ‘Missing Links’ party in Darmstadt. Reiss is also the curator and owner of the vinyl only label Dialegestai. The first release by Malin Genie was highly praised and sold out in the blink of an eye. The long awaited second release by Romanian artists Cristi Cons and Vlad Radu, performed similar. Keep an eye out for the third. It will be something special!